Silver gelatin print?, approx. 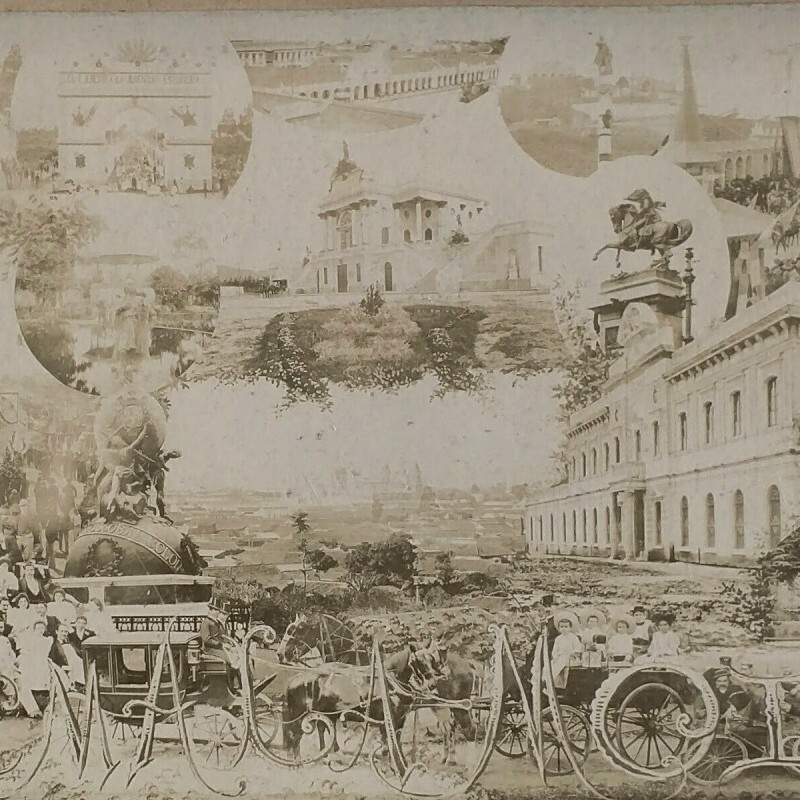 4 3/4” x 11 3/4”; print very good, minor fading, signed in negative and mounted to heavy card, pencil inscriptions and date verso. 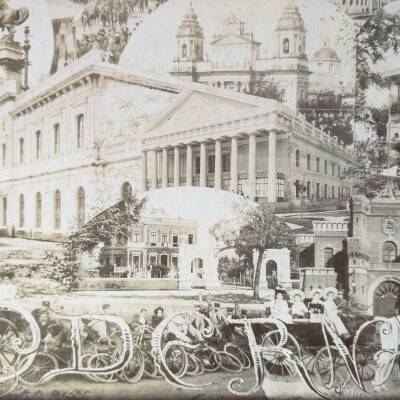 Vintage photomontage by pioneering Guatemalan photographer Alberto Valdeavellano, combining images of modern technology and transport with indigenous people, colonial-era architectural monuments in Guatemala City, and rural landscapes. Guatemala Moderna is a stunning, synthetic image of modern Latin American urbanism with remarkable ethnic heterogeneity and numerous markers of modern fashions and consumerism. Valdeavellano studied art in Europe and the influences of those travels may be felt in the innovative combination printing and Art Nouveau typography. 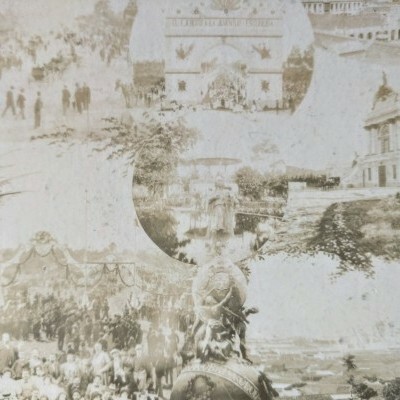 Despite his importance to the history of Latin American photography, Valdeavellano is seemingly unrepresented in North American institutional collections. Vintage prints are extremely rare, with none currently on the market and only 3 examples at auction in the last 35 years.